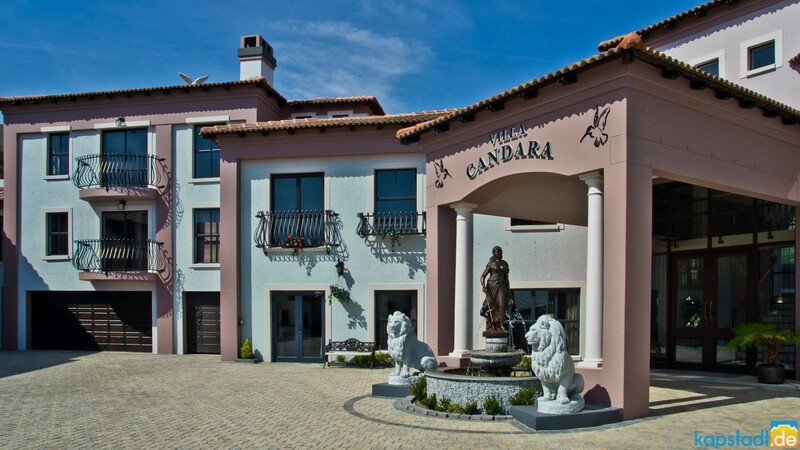 Villa Candara is a Tuscan styled mansion, offering you as holiday maker or business person an upmarket home during your stay here in Cape Town. 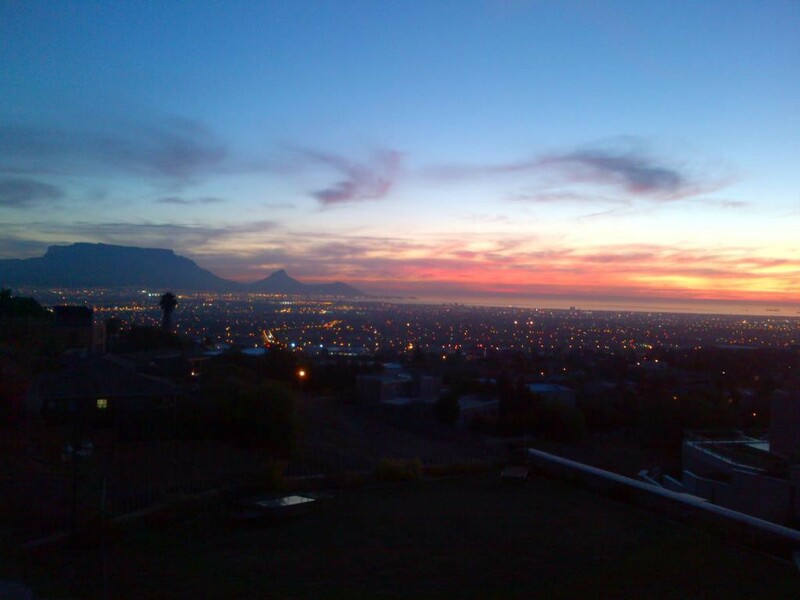 Bordering directly on the Tygerberg Nature Reserve high up the Capetonian Landscape it provides you the most spectacular, breath taking views over the Mother City and its scenic, unique mountain range." 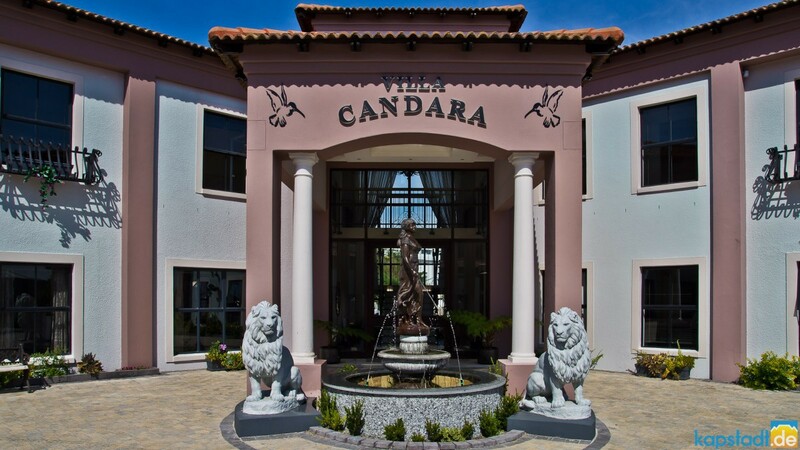 Situated in Plattekoof’s prime area, Villa Candara’s position allows for easy access to the N1 and many destinations within Cape Town. The Villa shows a thoroughly established, unique design, which was recently extended on a ground space of over 1700sqm. 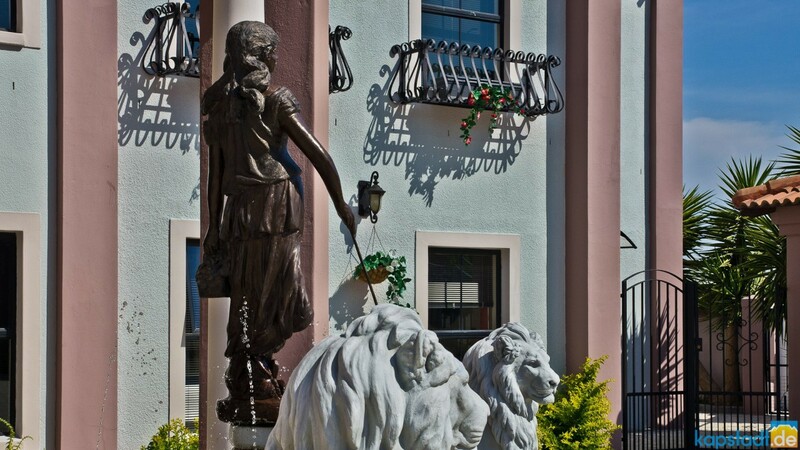 Beside the main house, which is privately used, 4 spacious, luxury self-catering units are available for your choice. Their individual and tasteful interiors are new and special to make your stay a unique experience. 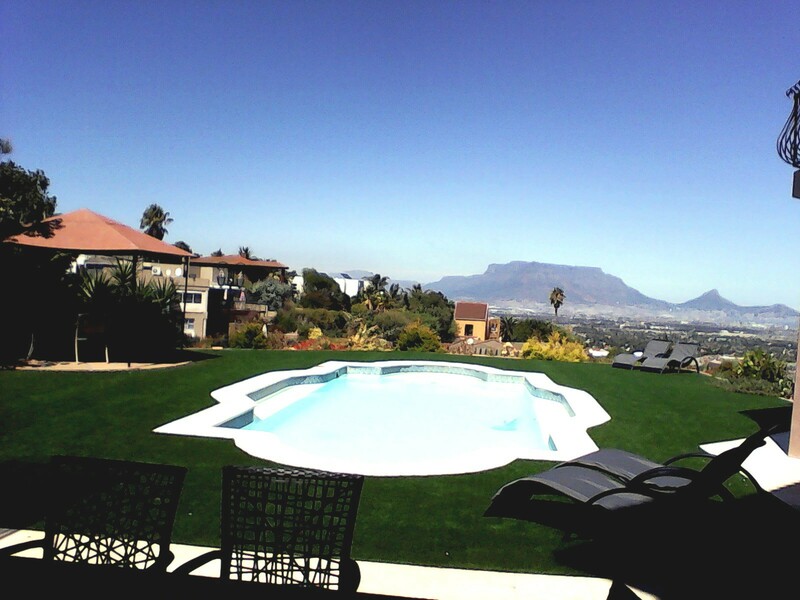 A large, solar heated outdoor pool facing Table Mountain is built to relax and unwind in peaceful luxury. 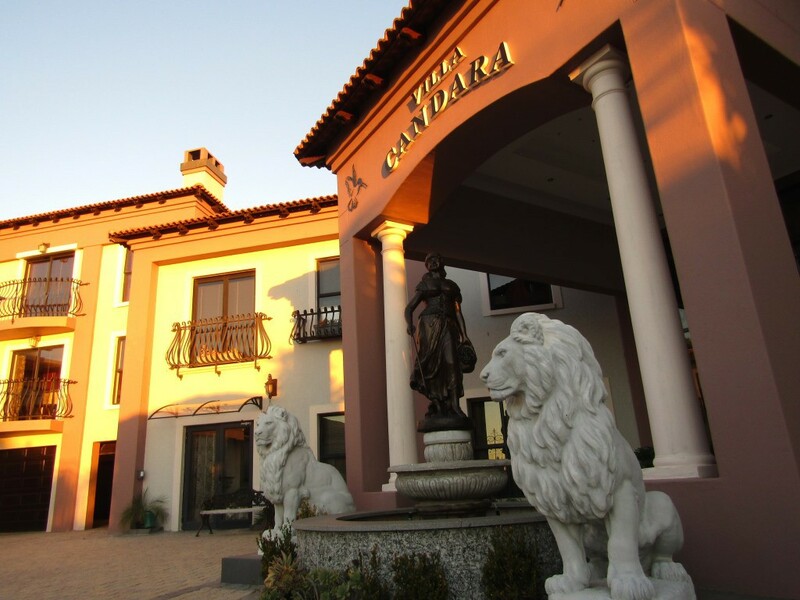 Within its tranquil, natural setting you can enjoy proximity to the adjoining Nature Reserve’s wildlife. Many bird species and other indigenous animals are living right at your door step. 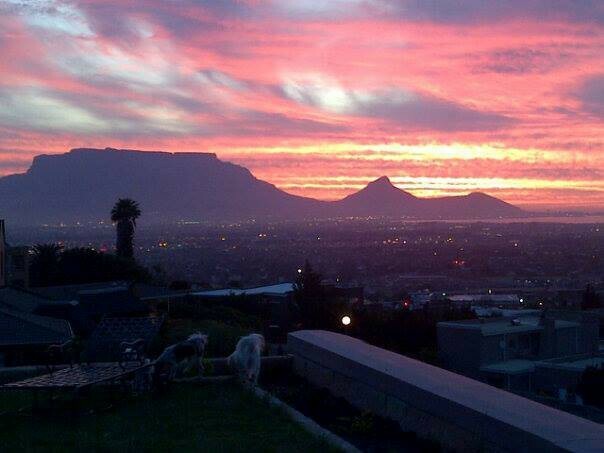 Plattekloof is valued as one of the most sought after suburbs to the northern part of Cape Town. 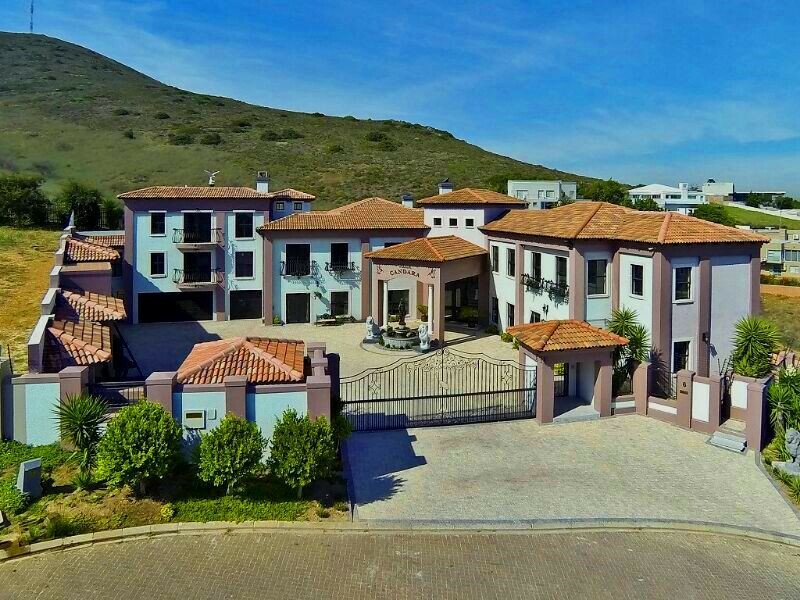 It backs on to the Tygerberg hills and shares a border with De Grendel wine estate, which sits on top of this same hill and forms part of the Durbanville Wine Route that makes staying in this area such a draw card. 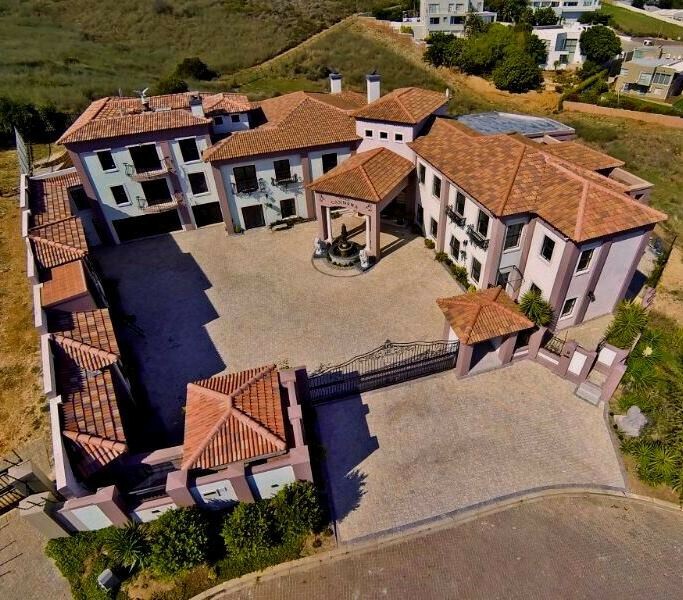 The high demand of staying there is mostly due to the ease of access, which makes it such an ideal base for visitors to Cape Town, aside from the most amazing scenic views. 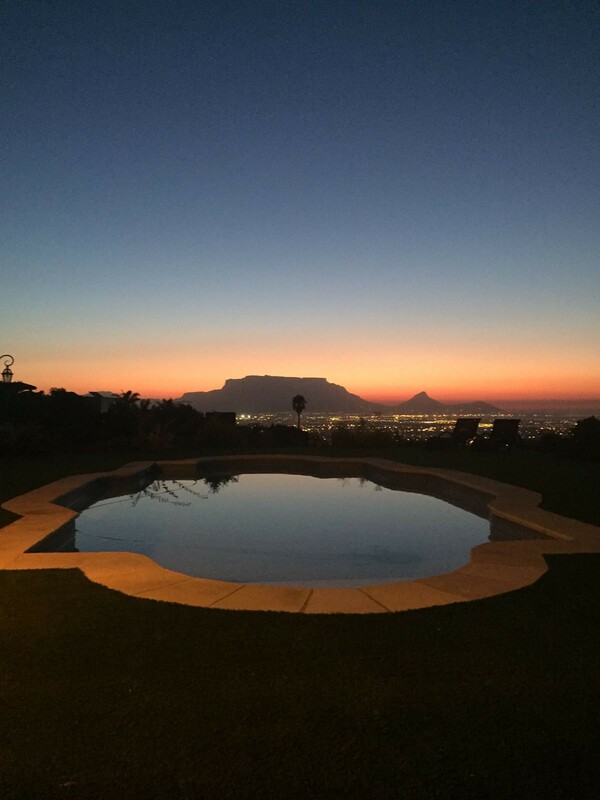 Cape Town’s International airport is an easy trip; Blauberg Region's beaches are easily reached, provided you don’t venture out during peak hour; the business hub around the Tygervalley, the winelands and Stellenbosch. 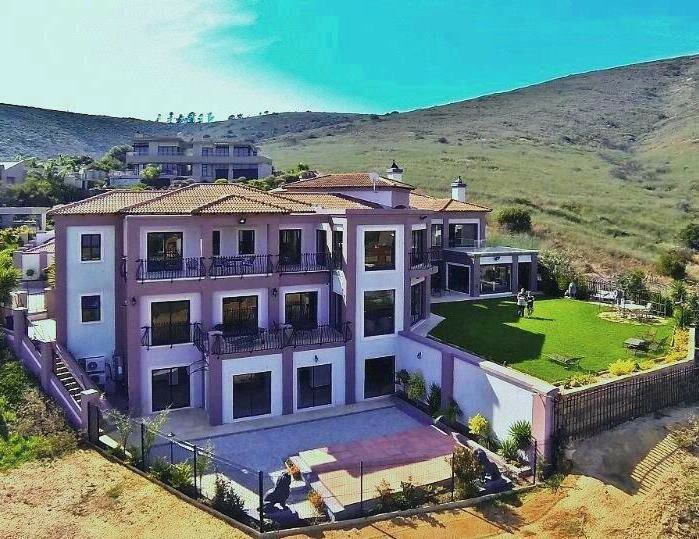 The established infrastructure of this suburb is vibrant and colorful offering you a variety of restaurants, shopping villages, wineries and top class life saving hospitals.